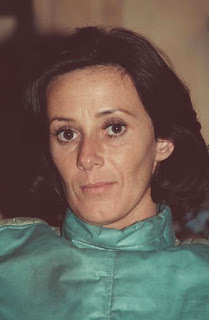 STAR WARS AFICIONADO WEBSITE: 'STAR WARS' AT 40: A NEW LEASE OF DEATH! 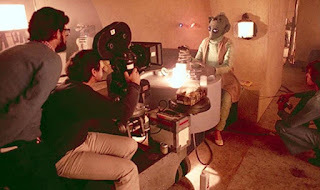 Greedo's alive. Then dead. Then alive again! 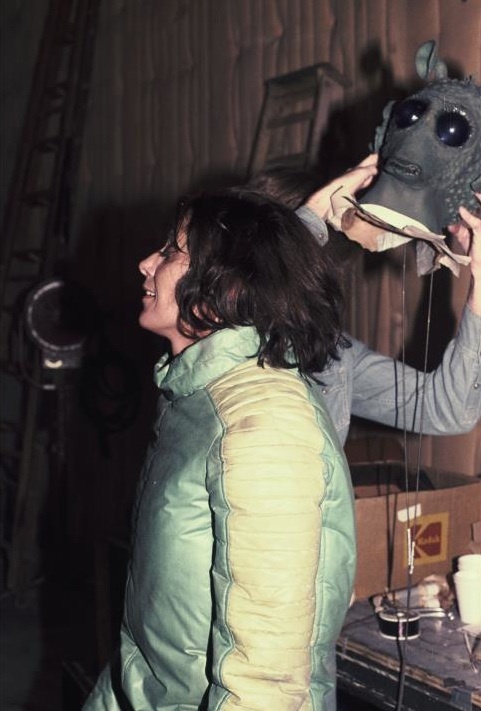 The latter condition occurring temporarily in late January 1977 reshoots via Canadian actress Maria de Aragon, stepping into the mildly revised costume previously worn in the UK by Paul Blake during April 1976, which this time holds internal workings for the alien's large hands, and wearing the hot and restrictive redeveloped Greedo mask courtesy of Rick Baker. Note background left the three-legged Artoo awaiting some additional close-in shots for late editing inclusion.